मदद कैसे मांगेंगे? – How to ask for help? 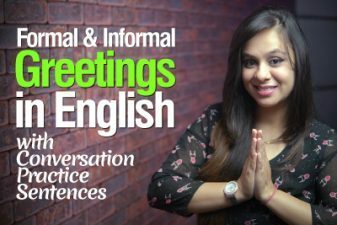 In this English speaking lesson you will learn Daily Spoken English sentences when you want to ask someone to help you. These English speaking sentences are quite useful when it comes to asking for help. 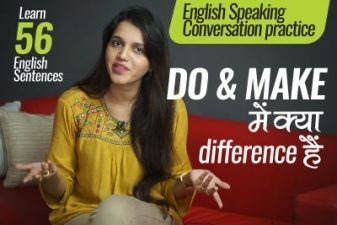 Practice these English sentences and speak fluent English with confidence. Could you please guide me to the washroom? Can you please tell me where the washroom is? Can you please tell me, from which belt do I have to pick up the luggage? Can you please help me in finding the right luggage belt? Can you please help me out with my bag? I need help in lifting my bag, will you please help me? I need some assistance in lifting my bag, can you please help me? If it’s not too much trouble, can you please help me out with picking up my bag? Can you please help me out in finding this address? Can you please help me out with the directions to this address? Can you please explain the directions? I am in a spot, can you please help me? I have a problem, can you please help me? I am in trouble, can you please help me? I am stuck, can you please help me? Can you please do me a small favor? Would you mind doing me a small favor? If it’s not too much trouble for you, can you please do me a small favor? Would you have a little time to please help me out? If you don’t mind can you please help me out with something? If you are not in too much of a hurry can you please help me? I have heard that you are very good with your work; can you please help me out? I have heard that you have a lot of experience with this work, so can you please help me out? If you have a little bit of time, can you please help me out a little with my work? If you have time, can you please assist me a little with my work? Would it be possible for you to help me out with my work? Would it be possible for you to assist me with my work? If you don’t mind can you please give me some information? Would you be able to give me some information? Would you be able to assist me with some information? It would be great if you could share some information with me. 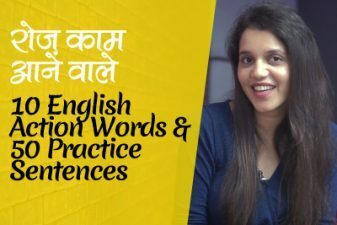 Previous Previous post: English speaking में CAN & COULD को कैसे use करेंगे? Next Next post: मेरे साथ MOVIE देखने चलोगे? Asking for a movie in English.